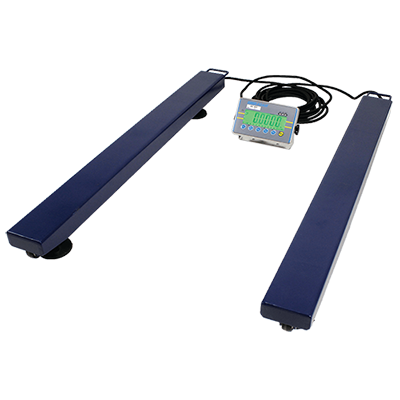 With simple operation and a variety of modes, Latitude compact bench scales deliver an excellent value for quick, basic weighing and counting needs. Adam Equipment provide a wide selection of agricultural weighing scales ideal for farming and horticulture. Constructed using a combination of durable plastic ABS housing and tough stainless steel, Adam washdown agricultural scales offer significant IP-rated protection against dirt and water ingress. Moisture analysers are used to effectively analyse soils to ensure that they are suitable for planting crops, plants, fruit and vegetables. Loss-on-drying (LOD) testing precisely calculates the amount of moisture within soil samples as a percentage for optimum growing conditions. Grain scales calculate the potential yields and quality of the grain crop and its development. These portable, compact weighing scales are highly adaptable, simple-to-use and inexpensive; a perfect choice for farmers. Checkweighing scales are invaluable during packing and distribution processes and can used to ensure that each individual crate of produce meets operators’ preset weight limits. Smart audible alarms and check lights, streamline the checking process for speedy, more efficient distribution. Cattle scales are specially designed machines that incorporate cattle crushes with platforms or pallet beams in order to weigh livestock. Our highly-versatile AELP pallet beams allow farmers to securely place platforms across the weigh beams for simple and effective animal weighing. Delivering speed, performance and great value, Adam scales are an ideal choice throughout the harvesting process for accurate soil analysis, planting crops, packing and distribution.